Services: Mobile Service. Crane Inspections, all truck mounted cranes and compressors. Liftgates, sign trucks, bucket trucks. General chassis repairs. 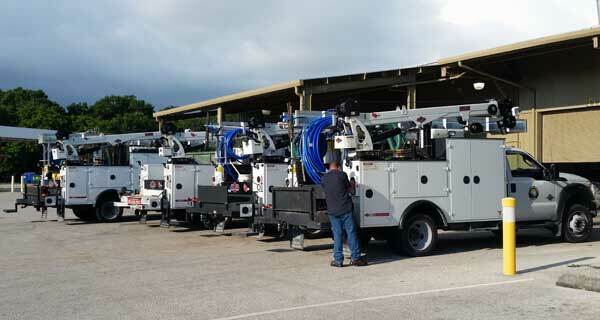 We provide mobile service on a broad range of work trucks throughout Tampa Bay. We do OSHA required crane inspections, repairs on truck mounted cranes and other hydraulic truck equipment. We also do DOT inspections and general chassis repairs.